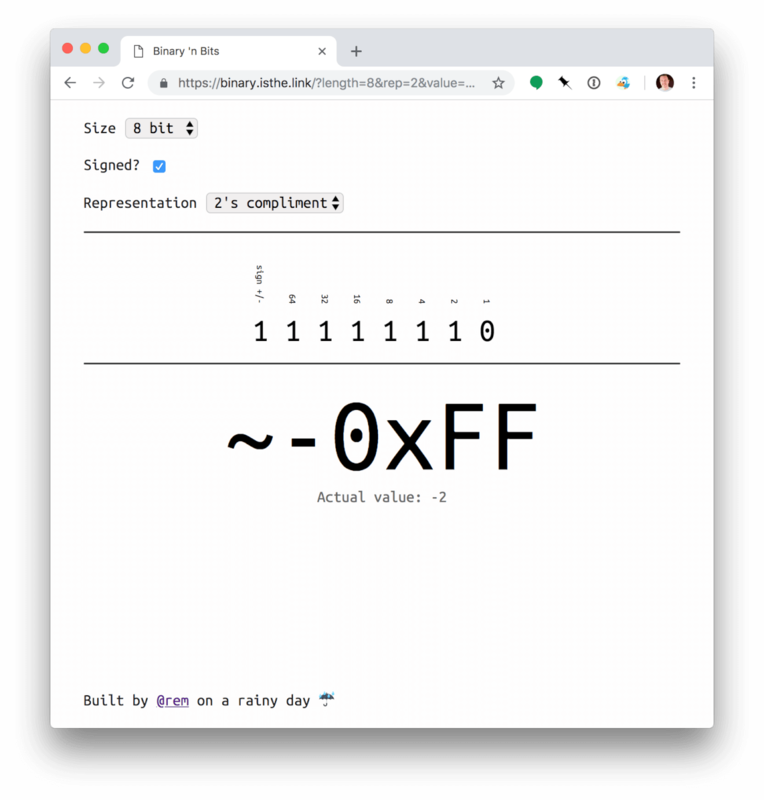 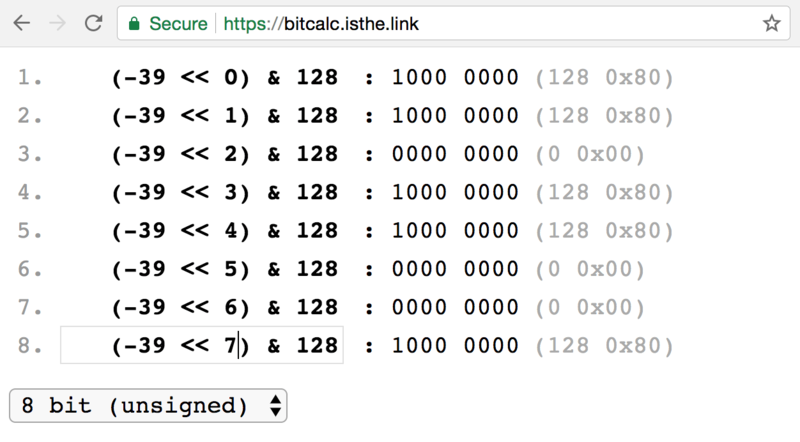 Calculator with history to help visualise binary and hex values and the action of bitwise operations. 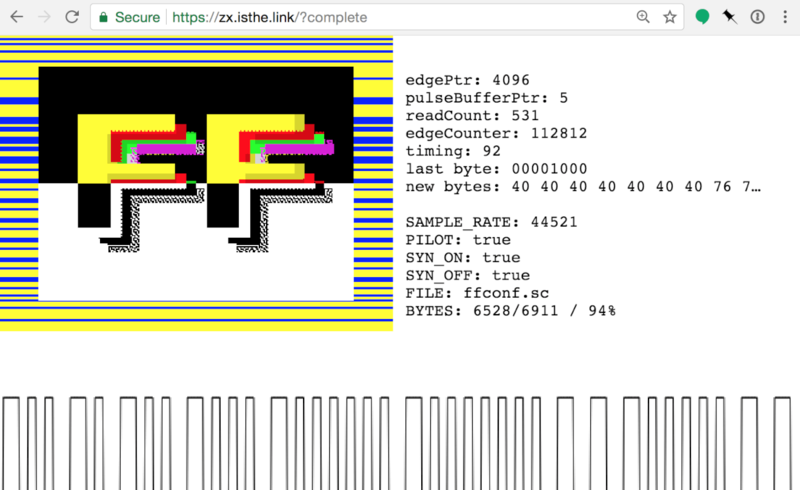 Collection of image and audio based ZX demos, including a SCR encoder, decoder and full loading screen emulation. 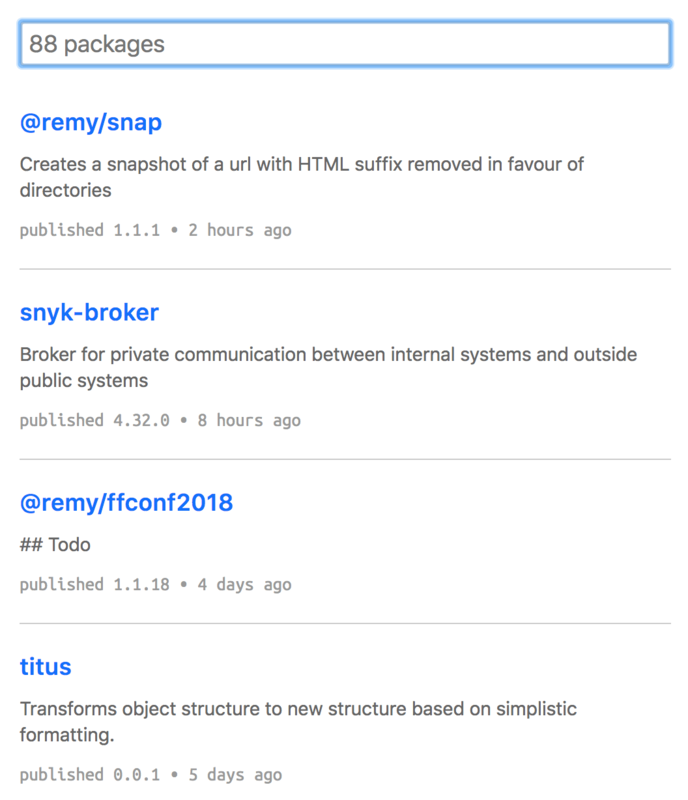 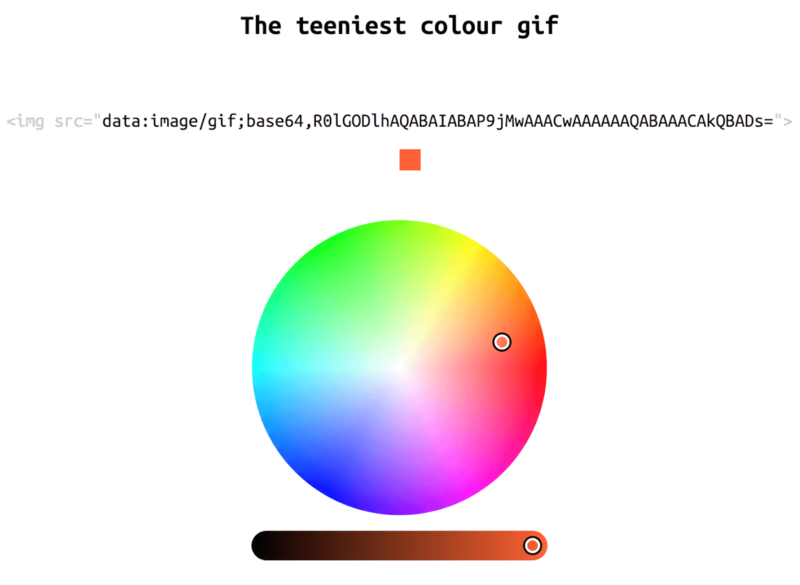 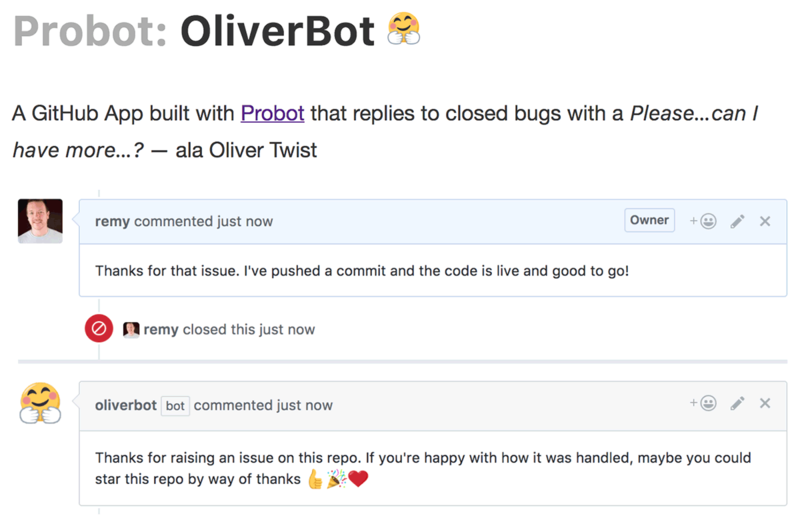 A Github bot that's like Oliver Twist, and once an issue is closed, comments with "Please may I…"
Colour picker based on the ZX Spectrum for Z80 assembly code. 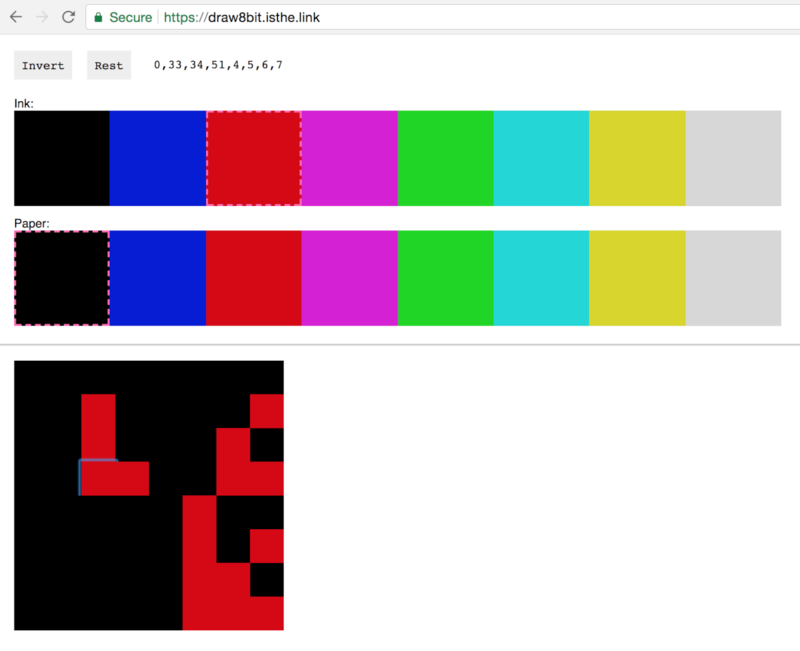 A visual tool for generating the bytes required for assembly `defb` 8x8 graphics. 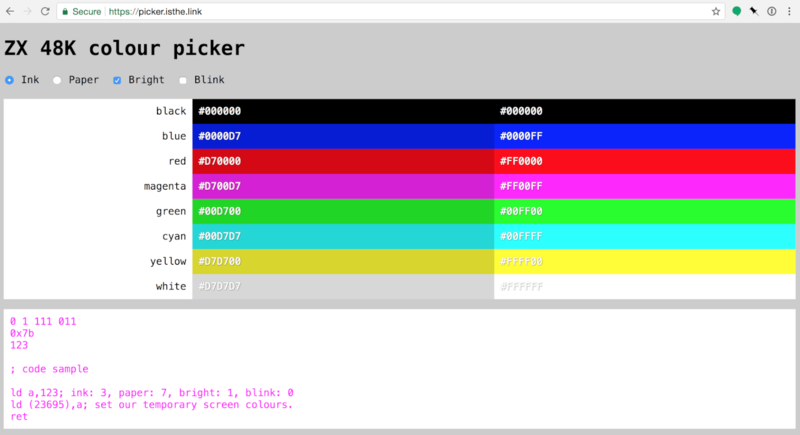 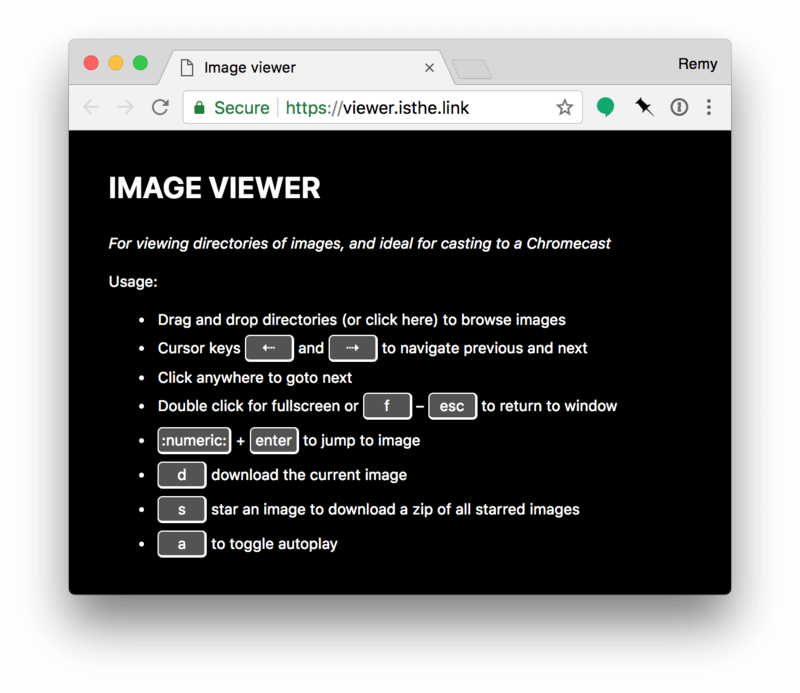 Attempt to distil the main content of a web page into a nice readable page. 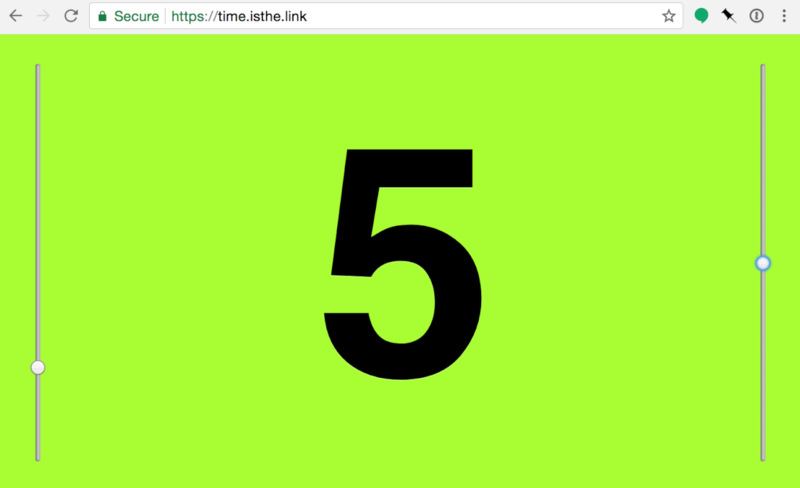 Simple and manual countdown tool that I've used at events to notify speakers of remaining time. 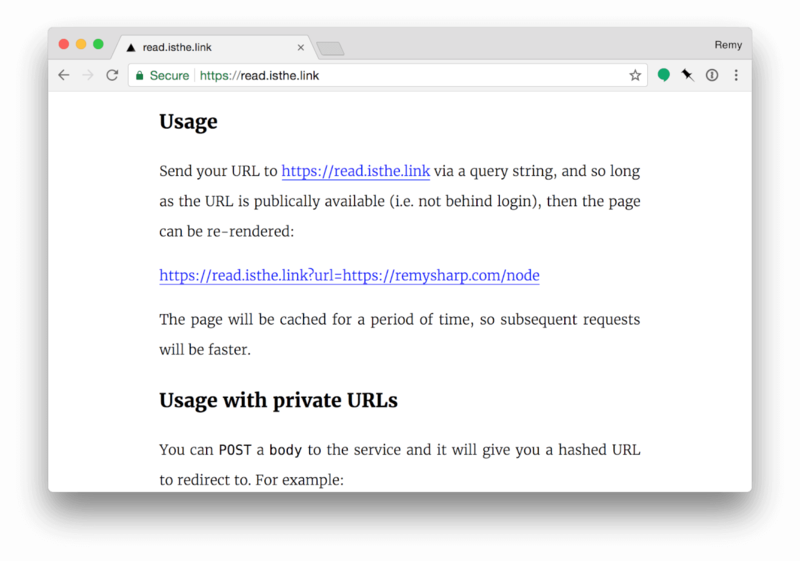 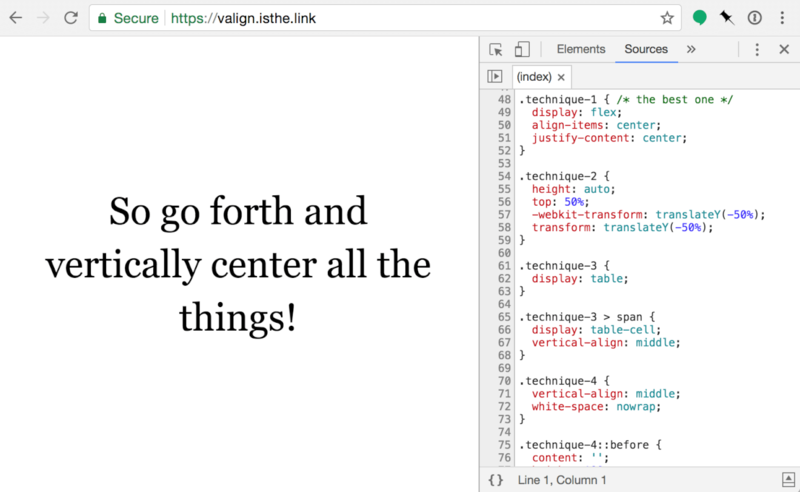 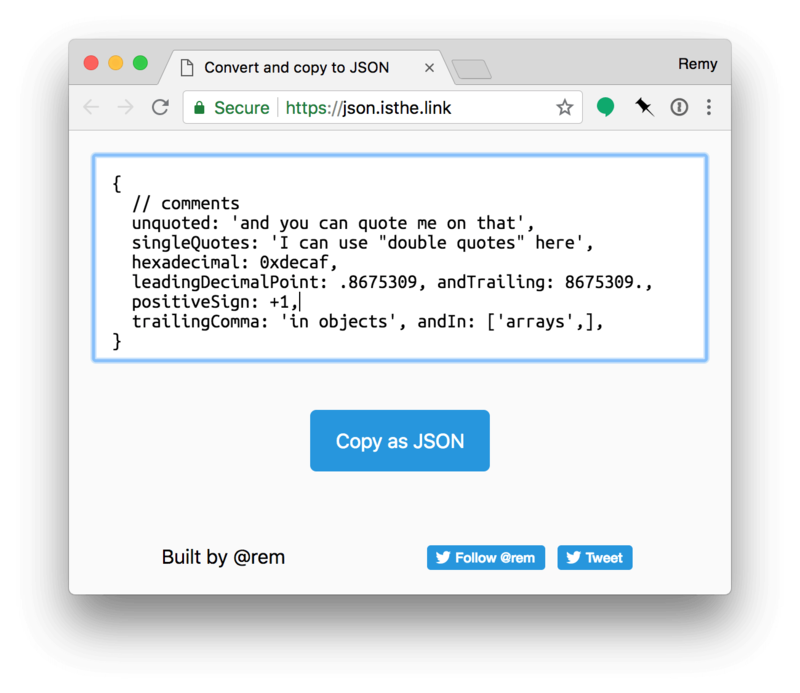 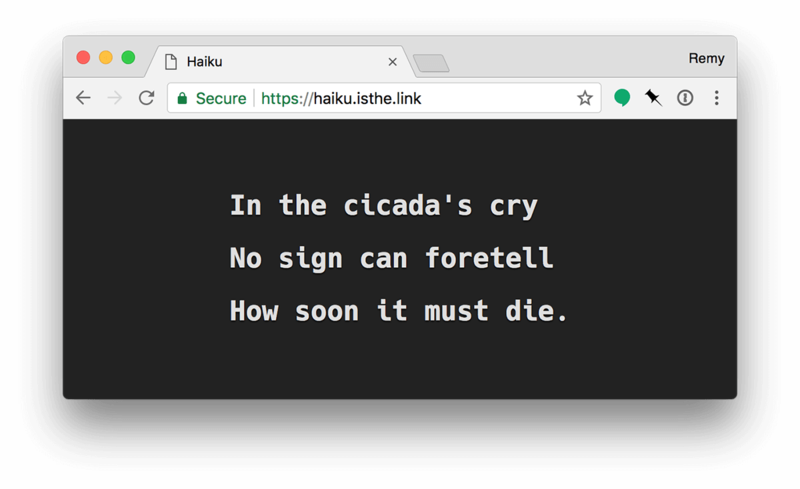 Jake Archibald demonstrated how vertical align is simple, but the URL was lost in JS Bin, so I gave it a home here.